Researchers have provided vitamin B12 information proving that this vitamin is essential for maintaining a healthy functioning body. Known as cobalamin and cyanocobalamin, vitamin B12 is a water-soluble vitamin that is very important to many functions of the human body. However, absorbing this vitamin for use is very difficult. In order for absorption to take place easily, the following processes must take place. During digestion our bodies produce hydrochloric acid. The hydrochloric acid releases the vitamin B12 found naturally in protein foods. The stomach then produces an intrinsic factor, which is the name of a glycoprotein made by the parietal cells of the stomach. The intrinsic factor binds with the vitamin B12 allowing it to be easily absorbed through the intestines for use. Where Should I Inject Vitamin B12? When there is a deficiency of vitamin B12, almost every tissue in the human body is affected. Anyone following a vegetarian or vegan diet needs to take special care to ensure that they are getting adequate amounts of vitamin B12 in their diet. Many proponents of vegetarian and vegan lifestyles today, such as The Vegetarian Resource Group and the Vegetarian Society recommend taking a vitamin B12 nutritional supplement and adding foods fortified with vitamin B12 to their diets. Supplements for vitamin B12 are available in several different methods. The vitamin B12 patch is applied directly onto clean, dry skin once a week. Each patch delivers a dosage of 1000 mcg. Sublingual vitamin B12 pill and lozenge supplements are placed under the tongue and allowed to dissolve for fast absorption into the bloodstream. Sublingual vitamin B12 liquid drops are applied under the tongue and held there until they are absorbed. Sublingual vitamin B12 capsules are punctured using a pin or a needle. You then squirt the liquid under your tongue until it has been absorbed. 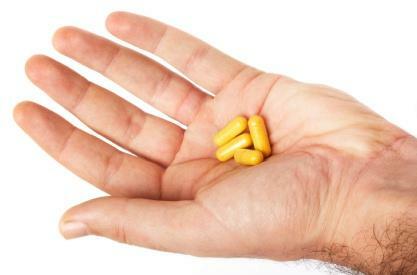 Vitamin B12 pills and capsules are swallowed with water. Vitamin B12 lozenges are chewed. Liquid vitamin B12 comes in vials. Vitamin B12 in a nasal spray. 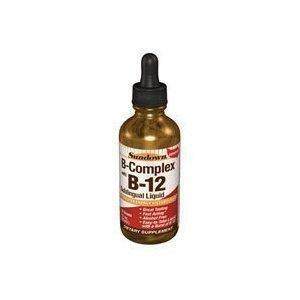 The Internet has many valuable websites for finding vitamin B12 information. There are certain groups of people who have a higher risk level of a vitamin B12 deficiency occurring. Anyone in one of these higher risk groups should have a CBC blood test to check their vitamin B12 levels. The test should be administered on a semi-annual or annual basis to monitor the levels. If you have been diagnosed with any of the following, or fall into one of the classified groups, you are considered at high risk for vitamin B12 deficiency. Eating a healthy, balanced diet and taking vitamin B12 supplements if needed, is important to maintaining overall good health.